Check out all the amazing YA authors (including moi) that will be at Authorpalooza this Saturday!!! Come to the Rochester Hills Barnes & Noble Saturday, March 25 12-3pm to hang out, get your books signed & snag some writing advice. Plus, there's a Beauty & the Beast event happening the same day. You could meet Belle! And Belle loves nothing more than books...just sayin'. 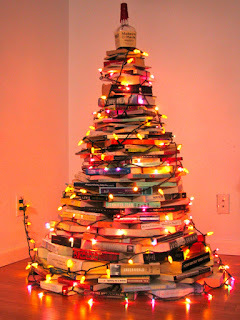 Papa Hemingway would be proud of this book tree's topper. May your season be filled with good reads & good friends! It's that time of year again! 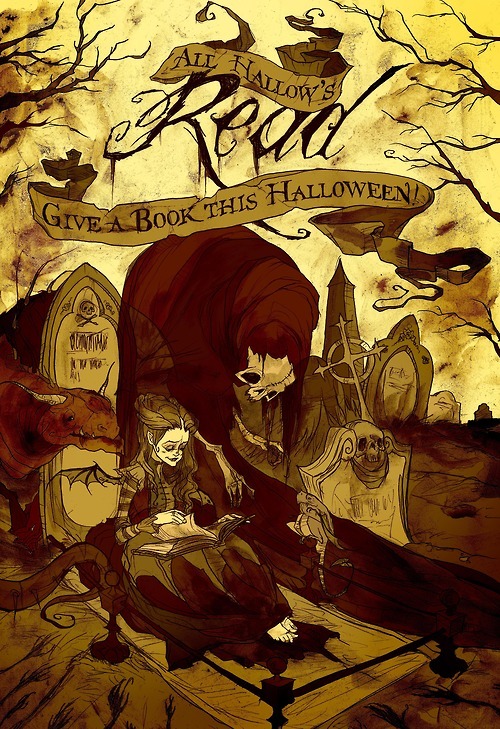 What spooky reads is keeping you up at night this fall? 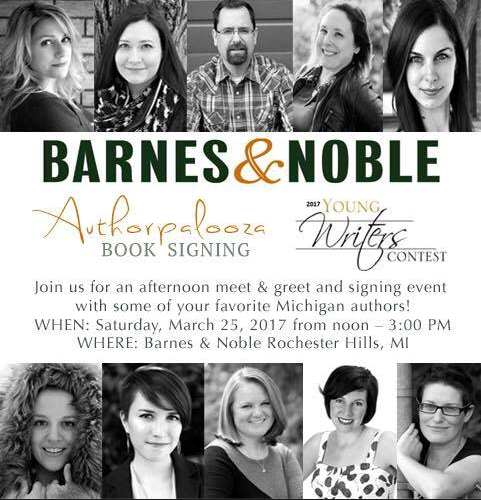 Calling all Michigan YA readers! I'll be at the Addison Township Public Library this weekend (Saturday, July 9) at 4pm for an author panel & signing with Ava Jae (Beyond The Red), Laura Wolfe (Trail Of Secrets) & Sarah Zettel (Palace of Spies series). 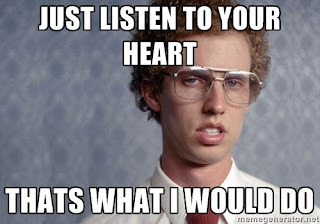 I've also heard rumors of snacks...just saying. 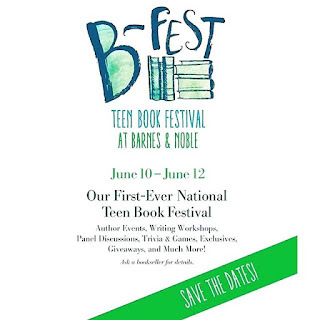 Barnes & Nobel is hosting their first ever weekend long book teen festival B-Fest is this weekend! Festivities begin this Friday, June 10 and run through Sunday, June 12. Barnes & Nobel stores nationwide will be holding super fun YA events, giveaways, trivia, games & sneak peeks books that won't be out until the fall. So B-Sure to check out their site for full details. Saturday @ 2pm for Bookish Games, including Pictionary, Spelling Showdown & more! So beyond excited to be part of the first ever B-Fest at Barnes & Noble. Details coming soon! Con-Troll YA is This Weekend! In case you've been living under a book tent--which, more power to ya!--Con-Troll YA is a young adult lit conference featuring author panels, a writing workshop (that I'm leading this year), and book signings. 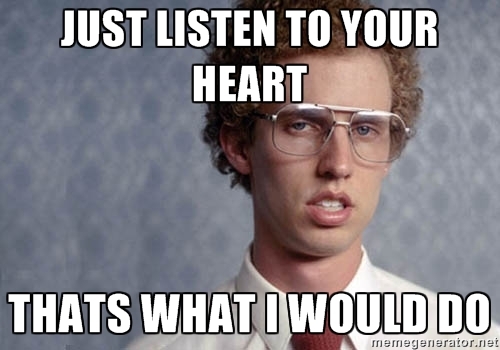 Stop by to make all your dreams come true...or at least get some swag. Click below to pickup your copy of MY LAST KISS today!